There were very few of these cameras produced. It has a special cassette for multiple sheets of sheet film. 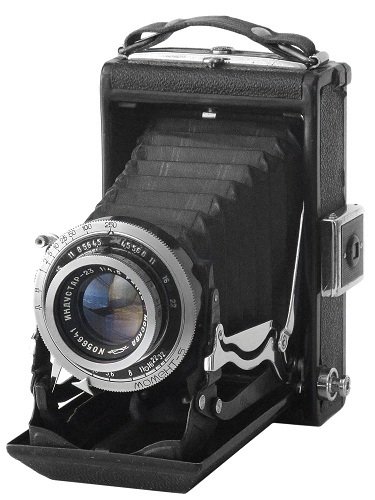 This camera was produced for 2 years 1950 to 1951. 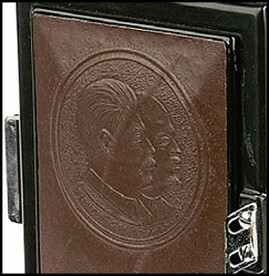 The case for this camera is made of black or green leather . Shutter: 1s, 1/2s, 1/5s, 1/10s, 1/25s, 1/50s, 1/100s, 1/250s + B +D. 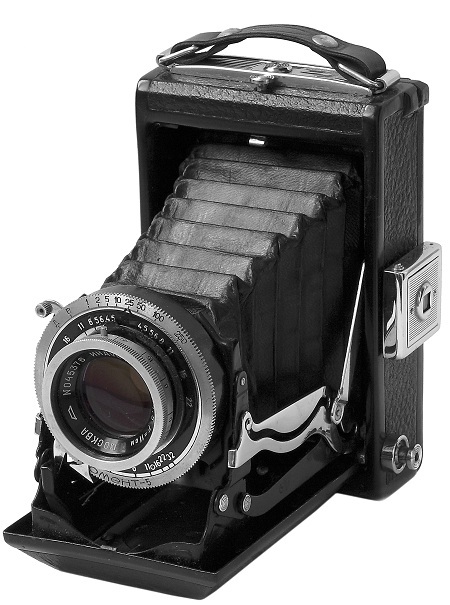 Camera opposite from Vladimir Nagorskij (Lithuania) collection. PM0805. An earliest so far known version of the particular camera. Appr. 1350 copies released in late 1949 - early 1950. 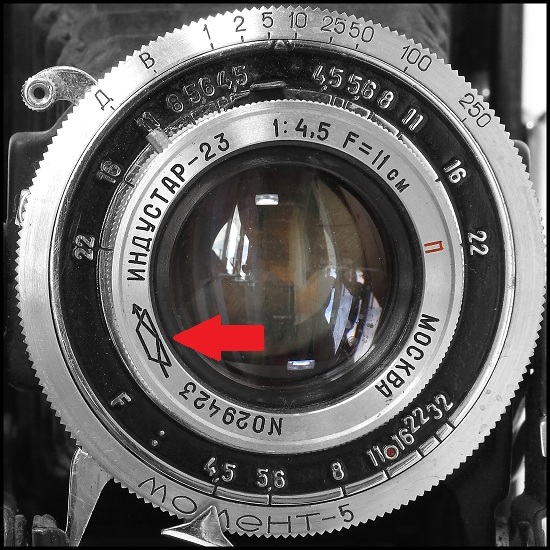 An old version of KMZ logotype engraved on the faceplate of the lens (see picture below). New KMZ logotype on camera body, beside the serial number of the camera. Very uncommon to find nowadays. An earliest so far known camera has s/n #5000006 (A.Nikitin coll.). Camera opposite from Ilya Stolyar (USA) coll. PM0810. 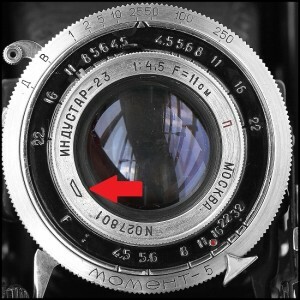 Camera identical to PM0805, but with new KMZ logotype on the faceplate of the lens (see picture below). Appr. 2200 copies released in 1950. New KMZ logotype on camera body, beside the serial number of the camera. Very uncommon to find nowadays. 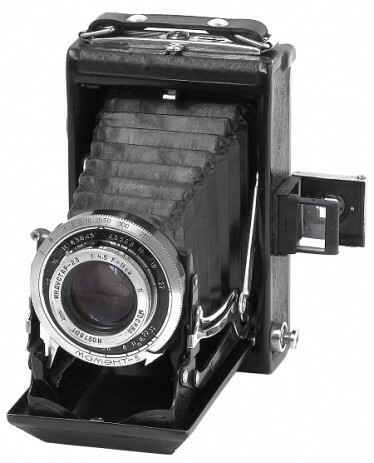 Camera #5001345 opposite from Alexey Nikitin (Russia) collection. PM0815. 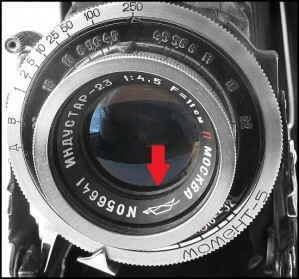 Camera identical to PM0810, but with new design of the lens. 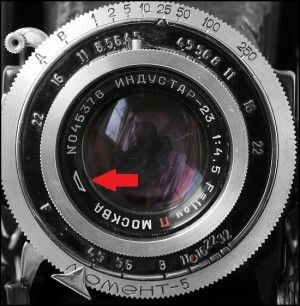 An old version of KMZ logotype engraved on the faceplate of the lens again (see picture below). Appr. 2500 copies released in 1950. 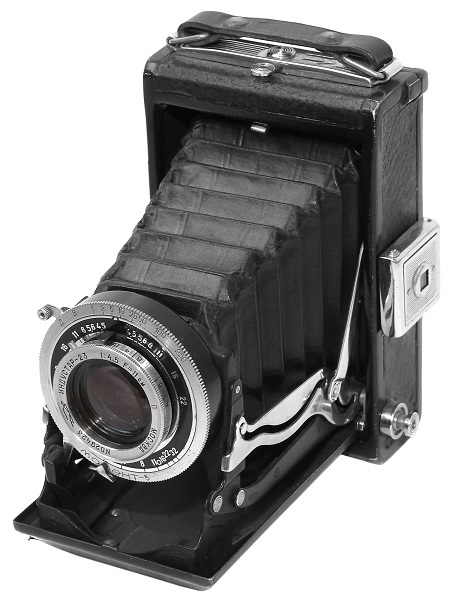 Camera #5003993 opposite from Alexey Nikitin (Russia) collection. PM0817. 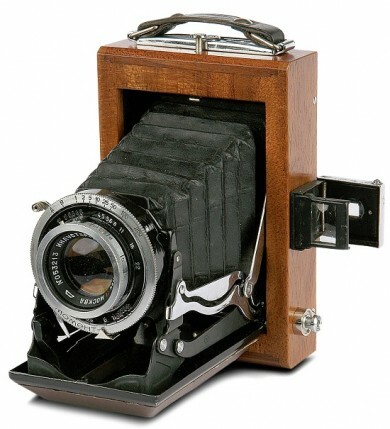 An extremely nice and impressive commemorative version of the particular camera. Possibly dedicated to 5th anniversary on Soviet Union's victory in WW2 (1941-1945). 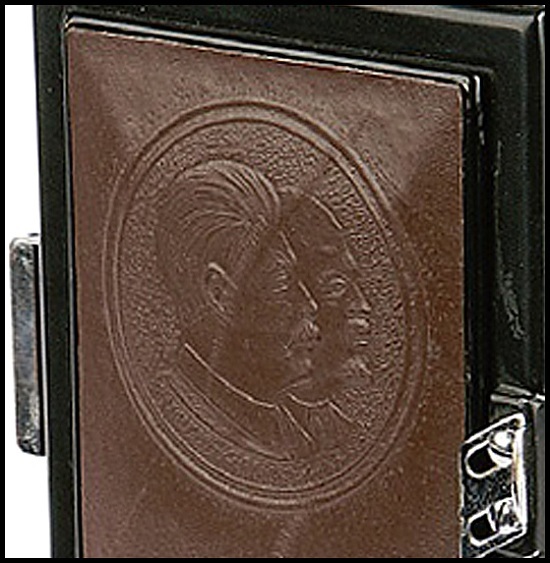 Wooden camera's body, Lenin's and Stalin's bas-relief on the rear plate (see picture below). It's known about existance of black wood version either. 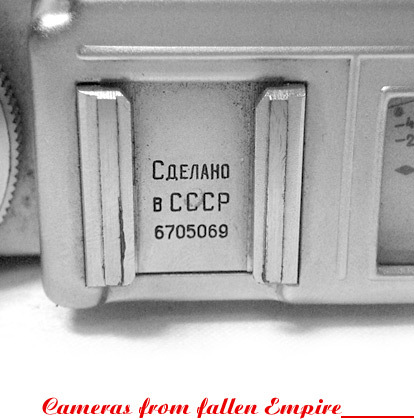 Camera #5007375 opposite from Viktor Suglob (Belarus) collection. PM0820. Seems to be the latest version of the particular camera. Identical to PM0815, but with regular KMZ logotype already (see picture below). 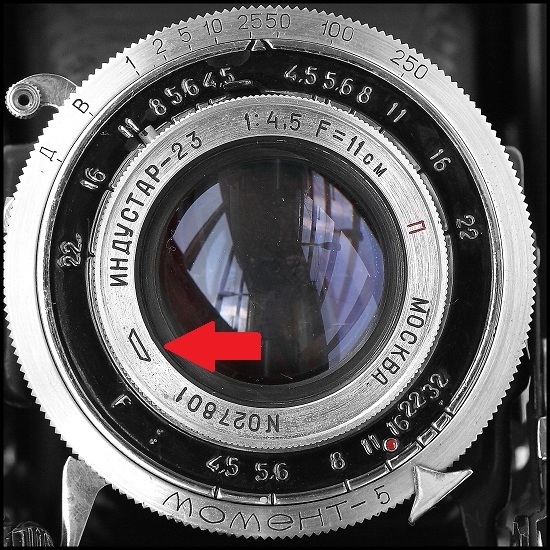 Frame finder painted in black (chromed in previous versions). Appr. 5300 copies released in 1950-1951.